How many times have you woken up in the middle of the night just because you were stuck on a level? My guess is plenty. Whenever I have woken up to fire up my PS4 in the dead of the night, I also had to scramble for the TV remote to turn on the TV. While I can still play my PlayStation 4 games from the iPhone but sometimes you just need to get in the zone and the lost TV remote certainly gets in the way. 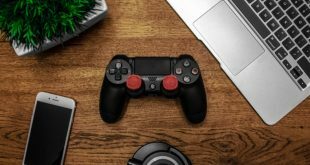 Looking for solutions I found that TV’s today have gotten pretty smart and you can turn on the TV with PS4 without worrying about the remote. Let’s see how it works. In general, most TVs whether smart or regular, support HDMI – CEC. To find if your TV supports HDMI CEC simply do a Google search or look up the manual that came with the TV. 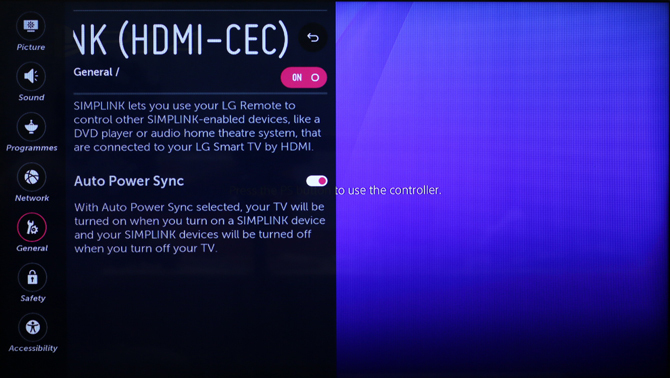 To get this feature working, first, enable HDMI CEC on your smart TV. You can find this in the settings on your TV using its remote. The option is generally under General Settings and should look something like one below. 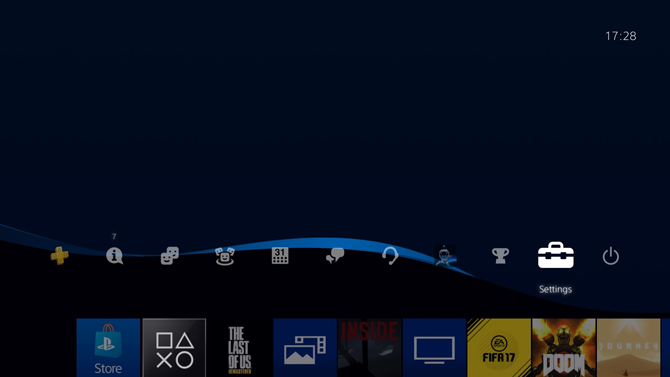 Once the feature is enabled, we’ll move to enable the feature on PS4. 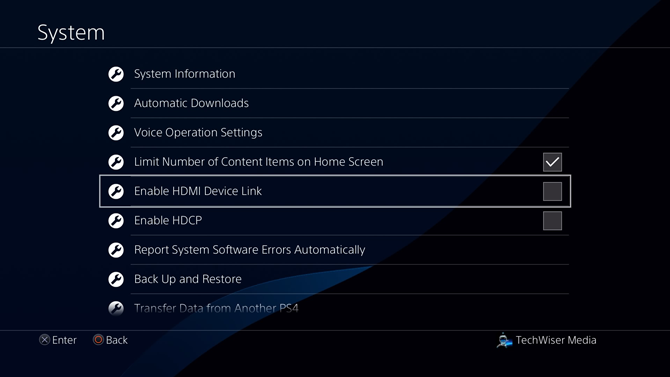 Once you have enable HDMI CEC on your smart TV, next you need to enable it on your PS4 as well. Power on your PS4 and log in to your account. Go to Settings using your controller. Scroll down to the bottom and select ‘System’ from the list of options. In System Settings, scroll down to ‘Enable HDMI Device Link‘ and check the box next to it. Now if you activated HDMI CEC on both the devices then you should be able to power on your TV just by powering on the PS4. Cool isn’t it. This was a quick way to enable CEC on your TV and PS4. 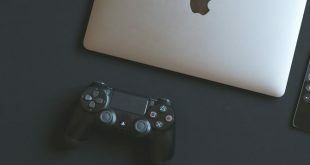 CEC has a few other tricks under the sleeve which work for other devices like using the TV remote to navigate through menus of connected devices like Firestick and Roku. However, PS4 doesn’t work with the TV’s remote as of yet but I haven’t tested this feature with many devices so I can’t confidently say that. 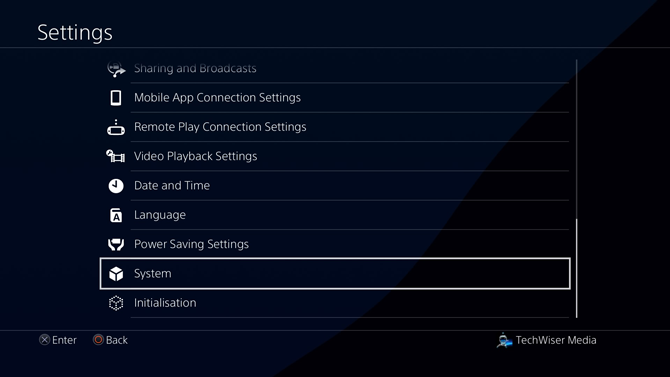 CEC also powers your TV off when you shut down a connected device but that feature didn’t work on the TVs I tried on. Most modern TVs have an auto sleep mode anyway so it shouldn’t be a problem. Drop a comment below if you can’t get your TV to turn on with your PS4. 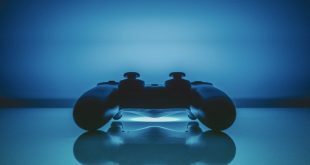 Next How to Change DNS on PS4 and When Should You?